A trio of Ontario Hockey League officials have been hired by the National Hockey League for the 2018-19 season. 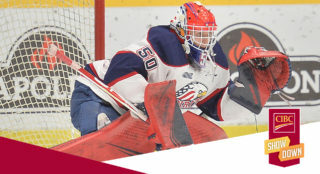 Tyson Baker, Mitch Dunning, and Michael Markovic will work professionally next season after developing their skills in OHL rinks over the past few seasons. 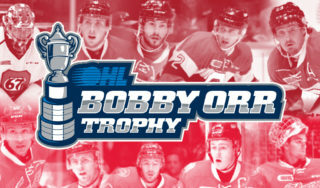 Baker, a 23-year-old from Thorndale, Ont., skated just one season as an OHL linesman after getting a taste of the league as a 10th round pick by the Peterborough Petes in the 2011 Priority Selection. He played primarily as a member of the GOJHL’s St. Mary’s Lincolns and Stratford Cullitons from 2011-16 before his officiating career. Among his assignments this season, Baker worked the lines in the 2018 Sherwin-Williams CHL/NHL Top Prospects Game in Guelph. Dunning, a 26-year-old from Tecumseh, Ont., worked the past two seasons as an OHL linesman but will transition to a referee in the pro ranks. 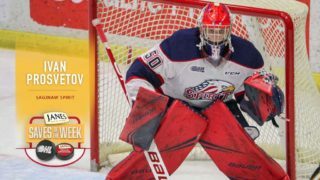 As a fourth round pick by Sarnia in the 2008 OHL Priority Selection, he played parts of two seasons in the league beginning with the Sting in 2008-09 and then with the Windsor Spitfires in 2009-10. Markovic, a 28-year-old from Toronto, Ont., had a two-year tenure in the OHL beginning as a linesman in 2016-17 then became a referee in 2017-18 which he’ll continue as a pro. Prior to his officiating career he most recently played five years for the University of Toronto Varsity Blues. This season Markovic wore the orange bands this season in Guelph at the 2018 Sherwin-Williams CHL/NHL Top Prospects Game. All three officials participated in the 12th annual CHL/NHL Officiating Development Camp back in November with the program aimed at supporting and enhancing the development of current CHL officials in cooperation with the NHL through on-ice and off-ice activities. 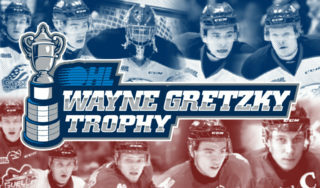 A total of eight OHL officials have been hired professionally over the past five seasons including Baker, Dunning, Markovic, along with linesmen Andrew Smith, Devin Berg, and Shandor Alphonso, plus referees Kendrick Nicholson and Garrett Rank.